What Should I Serve at My Wedding? If you’re planning your wedding, then you’ll want to come up with a fantastic menu for the reception. Along with the right wedding rentals in Washington, D.C., you’ll want to select delicious food and drinks that you and your guests are sure to enjoy. You can start planning your wedding menu with help from this video. Think about what your guests like to eat as well as what you and your spouse-to-be enjoy the most. Make sure to fill your table rentals with a variety of foods so everyone is sure to find something they’ll enjoy. Don’t forget about rental equipment such as flatware and glassware! 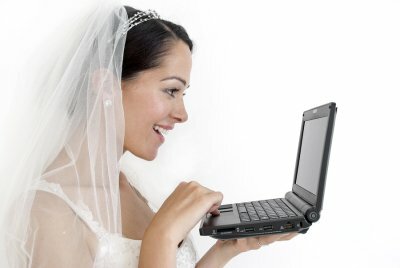 Should I Choose a Band or a DJ for My Wedding? You’ve picked your bridal party and have chosen your wedding rental equipment in Annapolis—now it’s time to choose your music! 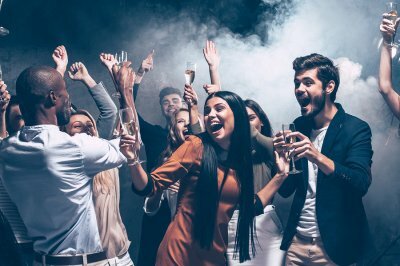 You and your guests should be able to let loose and have a great time during your reception, which is why it’s important to select the right music for this event. The following tips can help you decide if you should choose a band or DJ for your wedding. Pick your first dance song. When you and your new spouse share your first dance, you’ll want the perfect song to be playing in the background. Even after choosing your song, you’ll have to decide if you want a band to perform it or a DJ to play it. A band is the right choice if you want a personal touch added to this song, while a DJ is the better choice if you want a specific rendition of the song to be played. Think about what will get people on the dance floor. Just like other party rentals like table linens and glassware, dance floor rentals are essential for unforgettable wedding receptions. The wedding reception is where you and your guests get to celebrate, and dancing is certainly a great way to celebrate! What type of music will get your guests off their seats and on their feet on the dance floor? If your friends and family all have similar taste in tunes, then a band can be a great choice. If your loved ones are interested in different music genres, then a DJ might be the more appropriate choice. Bands and DJs don’t just play music—they also provide entertainment. Guests probably won’t want to dance when they’re eating and chatting with each other, which is why it’s important to make sure your musical choice will be able to provide light background music or other types of entertainment. A band can give your reception a concert-like feeling. A DJ might also offer to host games and let guests play with props, providing extra entertainment. The point of a corporate retreat is to help your employees learn how to work together and become a stronger team. To accomplish this, it’s a good idea to come up with a few team-building activities that are both fun and beneficial. 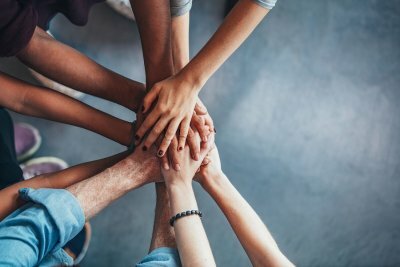 Some activities to consider include puzzles, obstacle courses, trust exercises, and even escape room-like activities that require groups to work together to accomplish a communal goal. You don’t need to spend a fortune on a venue for your corporate retreat—you can use rental equipment, instead! Renting a tent can provide the perfect amount of space to keep your employees comfortable while also allowing them to enjoy their team-building activities outdoors. Depending on how many people will be attending, you can choose to rent a tent that can provide shade for the entire event or a smaller tent that will serve as a resting station. Even if you choose team-building activities that require your employees to stand or be active, it’s still important to provide plenty of seating to make sure everyone will be as comfortable as possible. Chair and table rentals will offer your employees a place to sit and mingle with one another. They can also be useful if employees need a place to sit and write or draw for certain activities. If you want your employees to be happy and energized during the retreat, it’s important to provide refreshments. Order catering or come up with another plan so food and drinks will be readily available. You should also consider renting flatware and glassware instead of purchasing brand-new items. There are many do’s and don’ts when it comes to attending a wedding. For example, you should turn your cellphone off during the ceremony, and you should not arrive late. You must also be respectful of the venue’s rental equipment , china, and other wedding rentals in Annapolis. These are examples of common courtesy that many people may forget. 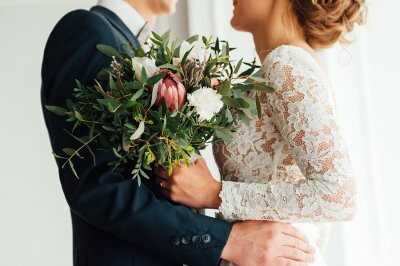 Read on to learn more dos and don’ts that can help you navigate the next wedding you attend and ensure you still have a good time. Do adhere to the dress code. It is rude and inappropriate to show up to a formal wedding in jeans, shorts, or overly revealing outfits. Alternatively, it can be embarrassing to show up to a casual event in formal wear. Examine the invitation and the venue to help guide your outfit choices. When in doubt, ask the bride or groom well ahead of the ceremony. Don’t assume you have a plus one. If you received a wedding invitation addressed only to you, then you must not assume that you can bring a guest. You can ask the wedding couple if you might bring your guest. However, be aware that they may have a limited number of seats at the venue or budgetary restrictions that are keeping the guest list tight. Do sign the guest book. The guest book is an important memento for the wedding couple, and it helps them remember everyone who shared in their special day. You will likely see the guest book on a table rental toward the entrance to the venue. If you cannot find it, then ask a member of the wedding party where to go. Your involvement will be much appreciated by the happy couple. Don’t take advantage of the bar. Many weddings have an open bar, so guests can enjoy alcoholic and non-alcoholic drinks without payment. This is very generous of the bridal couple, but it should not be abused. You may end up being the center of attention in an embarrassing way. Keep your alcoholic drinks to a minimum, and thank the couple for their generosity. Your sweetheart table is meant to look brighter and more beautiful than all of your other table rentals in Baltimore . This table showcases you and your new spouse, so it is important to add extra flair. You can add more rental equipment, such as table linens and candelabras. You can also create a personalized backdrop or sprinkle extra flowers. Let’s look at some popular décor schemes for your sweetheart table. In addition to decorating your sweetheart table, hang a personalized backdrop behind you and your spouse. The backdrop can be made of a monogramed, decorated, or cut out piece of fabric, or you can decorate a large piece of foamboard. Consider the material that will best match your wedding theme and decorate it in a complementary manner. You can also add different types of texture to the table to make it stand out from the rest of your table and chair rentals. For example, bunched-up tulle, faux fur, and burlap all have interesting and noticeable textures that can be dressed up however you like. The sweetheart table should stand out from the rest of your table rentals. This can be easily achieved with different table linens. Use different colors or pattern of colors from the rest of your tables. You can also choose different fabric, such as satin or silk. There are easy ways to add extra lighting to your sweetheart table. Beautiful candelabras can stand on both sides of the table. Small strings of light can circle your table. You can also set up extra tealights around your centerpiece for extra mood lighting. Add flower petals over your entire table and on the ground. Sprinkle your sweetheart table with flowers that match your colors and your décor. If your wedding is outside, then consider using nature as your backdrop. Set up your sweetheart table against a beautiful hedge and use potted plants to line the aisle to the table. Picking the perfect dance floor rental for a Baltimore event is important. However, the dance floor must be used to be a true asset for your celebration. There are a few easy ways to encourage dancing, such as renting high-quality sound equipment and hiring a great DJ. 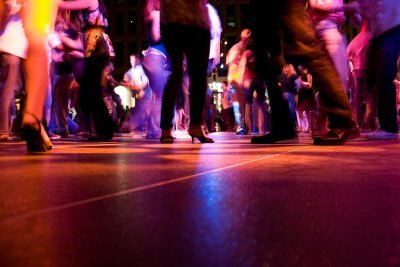 Read on for more ways to get your guests dancing on your dance floor party rental . One of the best ways to get your guests dancing is to start dancing yourself. Many times, people wait for a host or a bridal couple to kick off the event, or they need to see someone brave enough to go to the dance floor rental. If your guests seem shy or they are reluctant to start dancing, then be the brave one. Grab your partner or a couple of friends and start dancing. Your guests will soon fill the space around you, and everyone will have a great time. Sometimes, your guests may not be dancing because the music is not to their liking, or they do not consider it easy dancing music. If you have a specific playlist in mind, then consider tweaking it with your DJ or band to allow better songs for dancing. If you have a DJ, then allow your guests the chance to ask for specific songs. When your guests can request their favorite dancing songs, then they are likelier to enjoy the evening and start dancing. It is also necessary to have an upbeat and quick-thinking DJ to encourage your guests to dance. Your DJ will keep the evening moving by announcing when the caterer is bringing out the serving platters, when different speeches and events begin, and when the music and dancing will start. Ensure that your DJ has the right energy to keep your guests excited and ready to participate in your event or wedding. Your guests will respond to high energy, and everyone will have a great time. Planning a wedding takes up a lot of your time, so don’t make the mistake of planning every detail yourself. You can trust others with finding rental equipment, catering companies, and serving platters in Annapolis. Keep wedding planning stress low by avoiding the following mistakes. Leaving your guest list for later. It is exciting to begin planning all of the wedding details, such as colors, decorations, and china patterns. However, these details are not the most important factor when you first begin to plan your wedding. Your guest list should be at the top of your to-do list, because most of your wedding details will fluctuate based on your guest list. For example, your venue will need an approximate guest count, and you cannot reserve table and chair rentals without a solid guest count. You do not need the final number until closer to the wedding date, but you should have a close estimate before you start to plan the rest of the wedding. Planning the event by yourself. It is okay to delegate some of your wedding tasks to your close friends and family. You will be much happier and less stressed if you trust others to help you plan the wedding. You can trust your friends to help you find prices on venues, catering, and wedding rentals. You can also work with your fiancé to determine which flowers, decorations, and favors should be at your wedding and the reception to follow. Relieve some of your planning stress, and you will have a much better time at your wedding. Stressing over the little details. You may have certain ideas and details that would be a great addition to your wedding, such as a special favor or decoration. However, if this is a minor detail, then it should not occupy your planning. Your wedding should be a fun event for everyone, but it should be the most fun for you and your fiancé. Don’t ruin your wedding experience by stressing over small details. Your wedding day is an event that you will remember for your lifetime. In order to commemorate the occasion and spend time with family and friends, you may want to consider hosting an anniversary party. With services from a company that offers party rentals and chair rentals near Baltimore, you will be able to rent all of the equipment that is needed of your big day. From table linens to china, a party rental company can provide you with items that will help to take the guesswork out of party planning. Let’s take a closer look at some tips for planning the perfect anniversary party. When you are planning an anniversary party, you will want to make sure that your festive occasion is held on or around the date of your actual anniversary. To ensure that your family and friends will be able to make the party, it is a good idea to set the date in advance. In order to provide your guests with advanced notice, you may want to mail out invitations at least one month ahead of time. No anniversary party is complete without festive decorations and beautiful place settings. As you are gearing up for your anniversary party, you may want to consider renting linens, china, and other beautiful items that will add elegance to your big day. You may also want to choose a decoration theme that highlights something special about you and your spouse. For example, if you love to dance, you may want to include a dance floor rental in your party preparations. An anniversary party will provide you with a fantastic opportunity to sit down with your loved ones over a delicious meal. As you are making preparations for your anniversary party, you may want to consider whether you will be making all of the food, or whether you would prefer to hire a catering company. A team of caterers will be able to take the stress out of serving food for all of your guests. When you are renting equipment for your wedding , you will want to make sure that all of your items fit into your color scheme. In this video from Martha Stewart Weddings, you will take an in depth look at how to choose a color scheme for your wedding. A company that offers party rentals serving Washington, D.C. can help you select a gorgeous color scheme for all of your wedding decorations. Once you have picked out your color scheme, you will be ready to choose your table linens, china, and other important items for your reception and ceremony. When all of your rentals are connected through a similar color scheme, they will add a beautiful ambience to your nuptials. Wedding traditions are handed down from generation to generation. It’s always a good idea to consult older family members before arranging for wedding rentals in Annapolis. 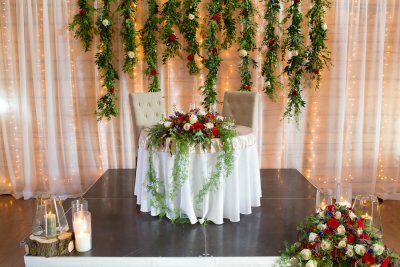 It may be a tradition in your family, for example, to have a certain number of candelabras at the head table or to incorporate a certain color into the rental chairs. Before selecting your rental equipment , watch this inspiring video. You’ll hear a magazine editor explain how she incorporated something old, new, borrowed, and blue into her wedding. Of particular interest is how she wove elements of her family’s history into her celebration. For example, even if you choose not to wear an heirloom wedding dress, you might create the ring pillow out of the old fabric.